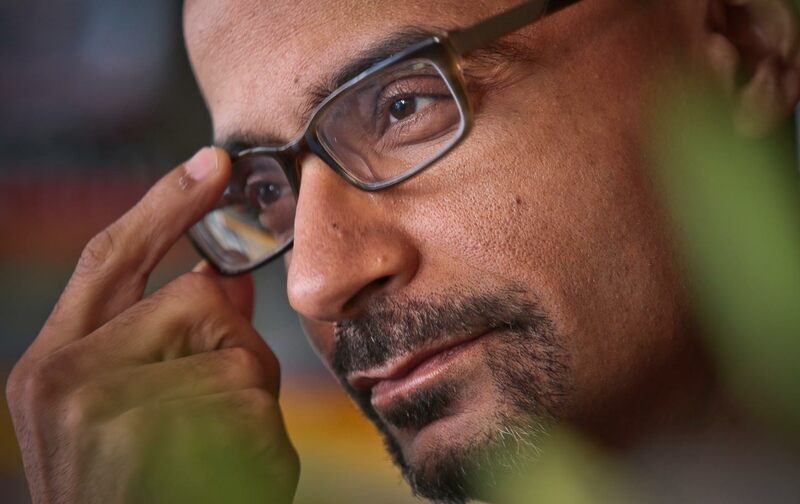 They might have stripped Pulitzer Prize–winning author Junot Díaz of his Dominican citizenship. Because, you know, they can do that now. Instead, Eduardo Selman, the Consul General of the Dominican Republic in New York, just took back his award. In 2009, Díaz was granted the Order of Merit, given to notable Dominican “citizens.” At the ceremony, Selman said that the medal honors “the talent, creativity, and professional trajectory of our most accomplished Dominicans, who symbolize the most genuine values and principles of la dominicanidad”—Dominican-ness. Díaz is especially hated by the Dominican right because he insists that rising xenophobia isn’t innate or transhistorical but linked to a specific right-wing venture driven by elites. Selman is a leading member of the ruling Partido de la Liberación Dominicana, which has been whipping up the racism. In other words, when Díaz talks about these new citizenship laws being an “elite” project to push the country to the right, he is talking about men like Selman. Commentators, both in the DR and in the US, write about anti-Haitian racism as if it is bred in the Dominican bones, traced back at least to the early nineteenth century when Haiti occupied the DR. That, as the Yale historian Ann Eller argues, is a gross distortion of history. The xenophobia Díaz condemns is a modern monster, linked to the falling global price of sugar (which has rendered Haitian agricultural workers superfluous) and Washington-pushed “free trade” policies. A “third of the country’s total population lives in poverty, and almost 20 per cent are living in extreme poverty.” In the cities, the number of poor people has doubled since 2000, from 1.2 million to 2.4 million, according to the World Bank, as I’ve written about here. Selman, who had served an earlier stint as Consul General, was recently reappointed to the position, largely to run damage control against the international outcry taking place: “We emphatically declare that the Dominican Republic has acted with transparency before the world in the implementation of the immigration measures,” Selman said, “and that not one violation of human rights has been registered.” But going after Díaz was probably a misstep, since it will only draw more attention to the absurdity of such statements. I recently visited two refugee camps just outside of Anse-a-Pitres, Haiti. An estimated 1,400 people in these camps have been deported or voluntarily left the Dominican Republic. Neither the Dominican nor Haitian governments want them. The camps are horrid places. The heat is intense and the sun can’t be escaped. There is no running water or enough nutritious food. Medical care is sporadic. People live in tents made of cardboard, rags and tarps. Since the middle of June, more than 87,000 Haitians and Dominicans of Haitian descent have fled the Dominican under the threat of deportation and fear for their lives…. These people were not living the high life in the Dominican Republic. They worked hard in the brutal sugar cane fields for little pay. If their lives had been better in Haiti, they wouldn’t have left Haiti in the first place. Some were born in the Dominican but never had legal documentation of citizenship…. Five people from the Anse-a-Pitres camps have died in the last couple months. Protein malnutrition is obvious. When I looked into the eyes of many of these refugees, it seemed as if they were losing their will. An eloquent 32-year-old lady told me she and her six kids and husband have lived in the camp since mid-June, but fear of being killed has made them decide to leave. Another man, 61, holding his head in pain, told me he’d lived in the Dominican for 29 years.